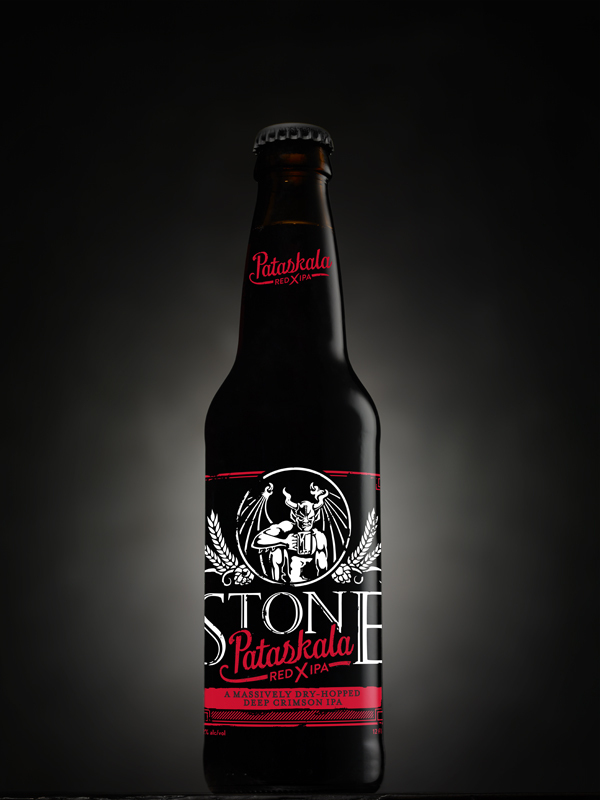 ESCONDIDO, CA (Feb. 1, 2016) – Stone Brewing is introducing Stone Pataskala Red X IPA, a red IPA brewed with newly available Red X malt from Germany-based BESTMALZ and featuring a backstory as vibrant as its hop bill. Starting this week, the limited seasonal release will debut in 12-ounce six-packs to retailers and on draft to restaurants and bars where Stone beer is sold. Stone Brewmaster Mitch Steele discovered Red X malt through homebrew circles and was intrigued to experiment with this uniquely malted barley. Rarely used in hoppy beers, the special German malt variety is typically reserved for German amber lagers, Irish red ales and other mildly hopped beers and is known for creating a deep crimson hue. Given Stone’s well-documented obsession with hops, an abundant hop bill was (without hesitation) considered the perfect combination for a trial. 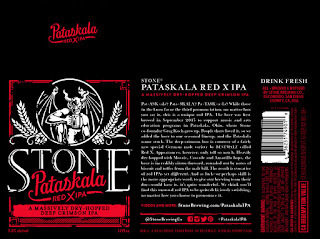 Stone Pataskala Red X IPA may strike a familiar note to loyal Stone fans, as it was first brewed as a small-batch beer to support a special cause. In early 2015, Stone CEO & co-founder Greg Koch received a letter from a determined high school student in Pataskala that explained the dire situation of her high school’s extracurricular and educational programs, which were facing the ax because a funding levy had repeatedly failed to get enough votes. There was one last chance with a vote coming that May. Could he help? Koch, who grew up in Pataskala, was touched by the plea and promised to brew a special beer with proceeds to further benefit school arts and music programs should the measure pass. The hope was that it might help the community to support the cause. Fortunately, this time the people of Pataskala rallied in support as well and the levy passed! 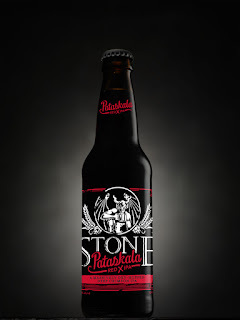 Stone’s CEO made good on his promise and personally celebrated with locals in September 2015 upon the delivery of the beer to Pataskala and surrounding areas. More than $10,000 was raised for the Watkins Memorial High School Band Boosters and Ally’s Warriors of Stone Foundation. Mosaic, Amarillo and Cascade hops provide this red IPA with an upfront fruity and piney aroma, transcending into stone fruit flavor and pleasingly lingering bitterness. Brewed with late hop additions and generously dry-hopped, the 7.3 percent alcohol-by-volume beer is incredibly citrus-forward, yet balanced by cereal notes and biscuit undertones from the malt. When all the ingredients are combined, this IPA showcases the signature qualities of hop-forward Stone beers. 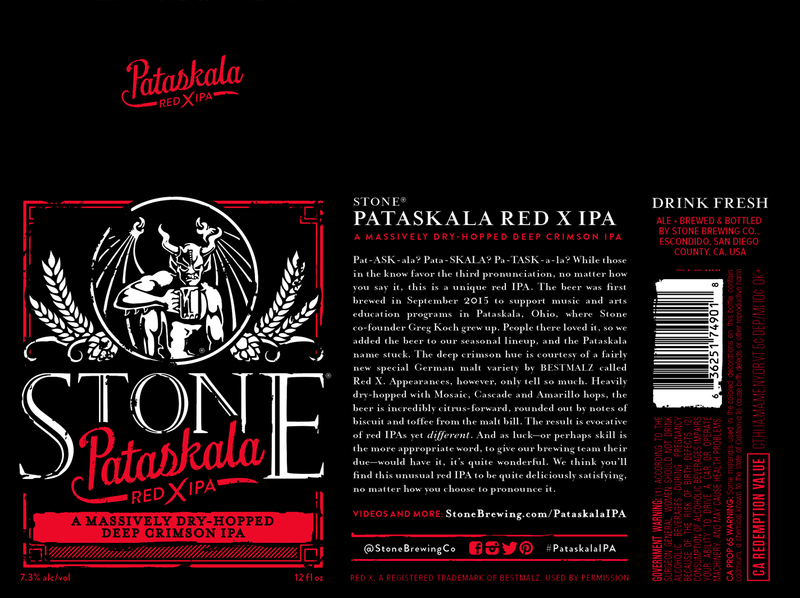 To fully experience the generous dose of hops and its unique malt bill, Stone Pataskala Red X IPA should be enjoyed within the 90-day “enjoy by” date printed on the bottle neck. Fans will be able to find this seasonal release in limited quantities through May. Founded by Greg Koch and Steve Wagner in 1996, San Diego-based Stone Brewing is the 9th largest craft brewer in the United States. Stone has been listed on the Inc. 500 | 5000 Fastest Growing Private Companies list 11 times, and has been called the “All-time Top Brewery on Planet Earth” by BeerAdvocate magazine twice. The multifaceted company will be the first American craft brewer to independently build, own and operate a brewery in Europe, and is also building a production brewery and destination restaurant in Richmond, Virginia. Brewing at both locations is anticipated to begin in spring 2016. Known for its bold, flavorful and largely hop-centric beers, Stone has earned a reputation for brewing outstanding, unique beers while maintaining an unwavering commitment to sustainability, business ethics, philanthropy and the art of brewing. For more information on Stone Brewing, please visit stonebrewing.com or the company’s social media sites: Facebook, Google+, Instagram, Pinterest, Twitter and The Stone Blog.